Almost everything today can be done online and much more convinient than the old way. For example, you can now pay you bills online, shop online, and etc. All private data (credit cards, passwords) you use on the internet are vulnerable from computer theft and fraud so you don't want them sitting on your desktop. 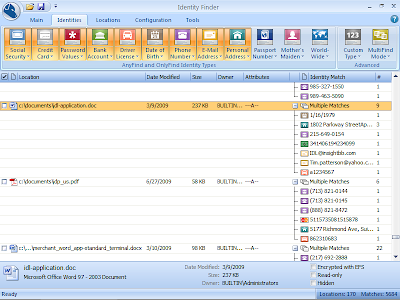 To automatically search out all these sensitive data you have on your computer then try Identity Finder. 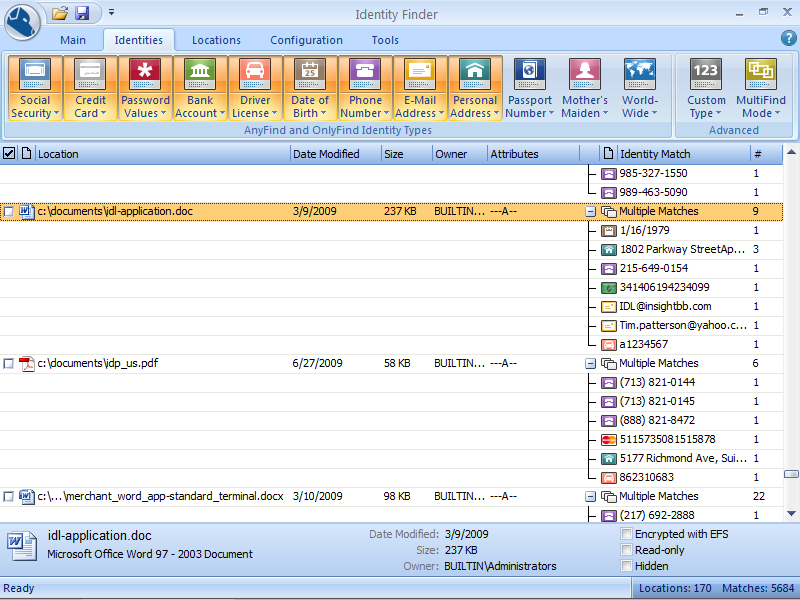 Simply download, install, and run Identity Finder on your computer to find credit cards numbers and passwords automatically. You can set the app to search for common type of documents such as Word, Excel, PowerPoint, Adobe PDF, text, html, and rtf. Once found, the app allows you to permanently delete the files. Although the free version is enough for personal use, you can explore the Home and Professional Editions if you need more power.